May I make a suggestion? Most people have their own idea of what fits, suits, ego soothing, show off macho item suits their game. 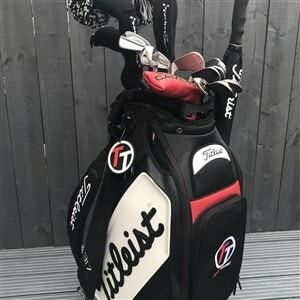 Might it be possible when undertaking fittings for Titleist to use 'non stamped' wedges, plain black graphite shafts, coded label steel shafts and 'no mention of loft drivers'? Clubs, shafts etc. could all have secret reference numbers, only known to the fitter. Fitters could also have their own unique numbers to prevent them becoming common knowledge. I think this might assist the fitter with the 'I'm not going to use a regular shaft' player. It might help in breaking through player's preconceived ideas and help get them to select and purchase something that really suits them. Whilst a great idea, something a little complex and probably too expensive to actually put into practice. 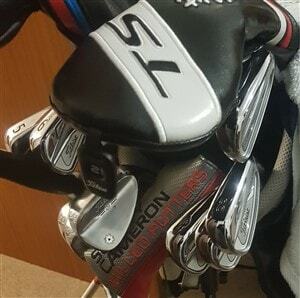 I have always been results driven at my fittings and have asked not to be told what is being given to me in terms of shaft weight, flex or length. When optimising swing weight again I’ll just take the club, hit the shots and look at the results. 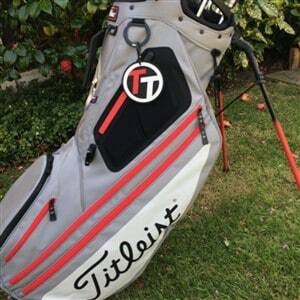 With driver it is easy enough to mask loft or not look and it is again easy to not examine a shaft for its specs. The fitter should be able to direct the client towards the right club/clubs based on results that can’t be disputed. In my experience it is those who by ‘off the shelf’ who tend to purchase on inflated egos/expectations. Bit cloak and dagger that isn't it? I've been fitted for all my clubs for a couple of "generations" now and it has been a collaboration between me and my fitter. 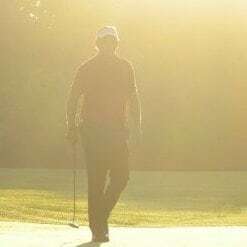 I have had the same fitter for some years and trust him, his expertise, what he is telling me, the data on Trackman and the evidence of my own eyes. I buy on that basis, not the label. Anyone intent on a "Vanity Project" ie who goes for a fitting yet dictates what they want, is wasting their time and money and might as well buy from the rack, or from the cheapest outlet they can find. If that's what floats their boat, they are probably "sub-optimal" in their club potential and are only kidding themselves. Anyone who goes to a fitting with all their preference fixed in their mind are wasting theirs and the fitters time. The only preferences I take to the fitting is my grip size and let the fitter do his stuff. My local pro knows once I get an idea in my head I want it so for my latest fittings he just handed me clubs to hit and wouldn't tell me any differences. This ensured I got what worked for me, not necessarily what I wanted before trying them. This isn't an issue for me as I've known him for 20 years so I trust him. As far as the original question is concerned I’ve got to agree that anyone who turns up without an open mind is wasting their time. You have to be guided by the Fitter and your results. I’m lucky in that my specs haven’t changed and I’ve used the same iron and wedge shafts for nearly 10 years! I’m also lucky that my son is a pro, so I’m able to play with any new releases but keep coming back to the same Nippon NS Pro. Me and Tom were blind fit at Woburn for our Vokey Wedges, but the short irons are completely different for all the bounce and grind options. All about feel for me in the irons. Budget is also a factor.